Today is Saint Brigid’s Day. Brigid used the crosses to represent the love of God. She used the rushes from the floor when she was sitting with a dying pagan chieftain and began to weave them in to a cross. The chieftain was curious and asked her what she was doing. Brigid replied and told him the story of God. He became a Christian before he died. 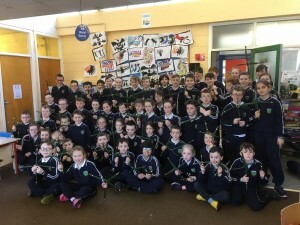 Sixth Class went down to Second Class to make St. Brigid’s Day crosses. 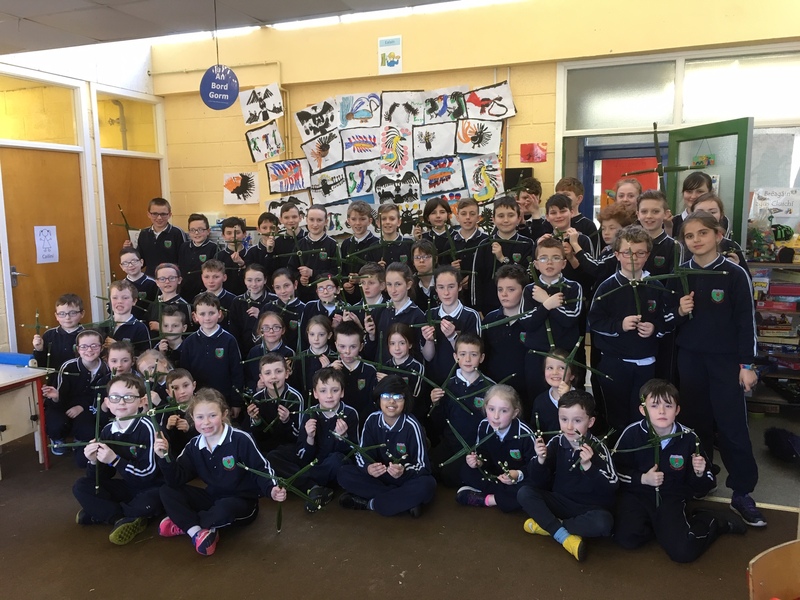 Some pupils brought in rushes and the Confirmation Class helped the First Communion Class to make crosses.